Does someone in West Sussex have the UK’s funniest holiday disaster? Waking up with odd sunburn marks, being photobombed by the wildlife and wasting a day being hopelessly lost are many people’s experiences of a holiday abroad. Travel agent Florida4Less wants to hear stories of West Sussex travellers’ disastrous mishaps, in an effort to find out some of British holidaymakers’ funniest holiday fails. The Florida travel specialist is offering a £75 Amazon voucher for the best story, which could be spent on making the winner’s holiday more disaster-free the next time they travel. 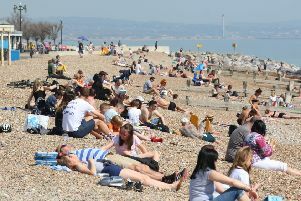 Jon Moulding, co-founder and director at Florida4Less, said: “We know holidays are supposed to be a time for relaxation and fun, but sometimes some unfortunate souls seem to end up in a situation that makes them wish they hadn’t bothered. To enter, visit the Florida4Less website and submit your story by using the form. Check the terms and conditions thoroughly before sharing your story or uploading any photograph.